To extract useful information from massive production processing data, firstly, production process and business workflow of the textile processing were analyzed, and the complex relationship and high dimensional feature of the stored data were studied. Secondly, a production management structure model based on multi-Agent was proposed by using the Multi-agent technology, relationship model, fuzz C means clustering algorithm (FCM) and expert system. And then, the rationality of the model was introduced, working principle, data computation process and message communication of multiple agents were elaborated, and finally a textile production process management system was designed. As verified by the application, the system the author proposed is superior to the existing textile production management system, and its functions strengthen the interactivity role both the user and the system, meet the requirements of the production management, intelligent decision and personalized service, and realize the heterogeneous integration among the different databases. For the textile enterprise in China, how to improve production management level and to win core competitiveness, which will become primary issue need to be resolved (Mei, 2008a; 2008b, Guzaitis, Verikas, 2006; Kuo & Lee, 2003). In some developed countries, such as Switzerland, Germany and Japan (Kuo & Lee, 2003; Wu & Xia, 2004), they have adopted the advanced techniques to improve the level of production management, i.e. the monitoring method in textile printing and dyeing (El-Molla, 2007; Peng, Ma, Lin et al., 2015), flaw detection in woven textiles, etc. (Heyse, Buyle, Beccarelli, 2016; Hanbay, Talu, Özgüven, 2016), and developed many advanced production management systems, such as electronic textile system, and simulation environment for electronic textiles(Wainwright, 2016). The documents show that these techniques and systems have been successfully applied to production management process, and have basically realized the informatics of production management and intelligence of decision analysis. In China, for the textile enterprises, duo to low concentration degree, backward technology, and behindhand resources utilization, it brought the difficulty in information construction respects, and seriously affect the informatics development of production management. So, aiming at the difficulties of the current information construction, some countermeasures have put forward to the textile enterprise. 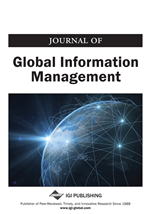 Furthermore, in production management aspects, the existing information systems are e-commerce (Wang, Wong, Yu, 2013), management information system (Wang, Chen, Yang et al., 2016), enterprise resource planning (Shen, Chen, Wang, 2016), production monitoring system (Yang, Chiesura, Vervust et al., 2016), etc. Although above systems have played a key role in the information development of the textile enterprise, and boosted the informatics of the production management, most of them are still single systems or DOS system, in the meantime, they cannot achieve the sharing and network management of production data, and provide real-time and accurate production decision data for production managers, as well as make a accurately implementation of the entire production scheduling and control. Hence, it is necessary for the textile enterprise to develop a production process management system, which either can improve production management level, or can realize quick response of decision-making (Zlot, Stentz, 2006.) Thus, according to the actual requirements of production management, we proposed a system model based on multi-Agent, developed a production process management system, which integrates the functions of production management and decision analysis, and made the system realize the sharing of production management data in the LAN.